Hair Removal Breakthrough From Japan! 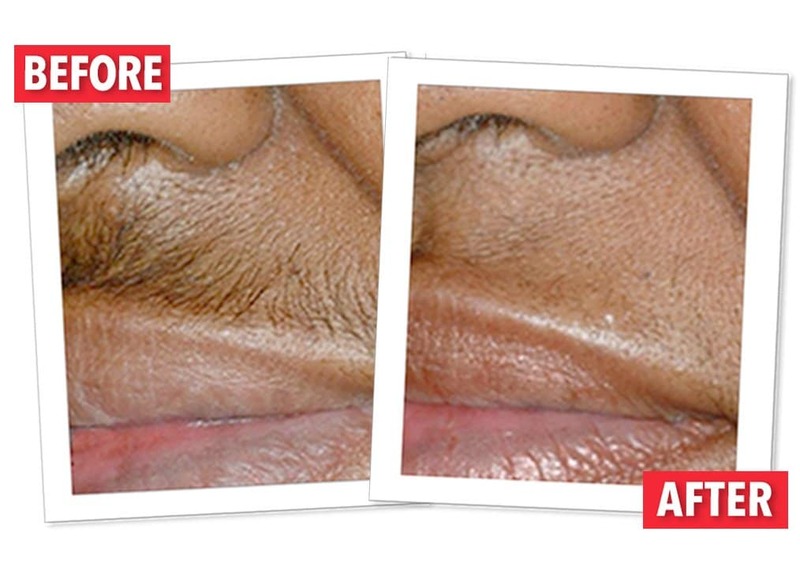 Never shave, wax or pluck ever again! End the misery of unwanted hair with this new scientific method from Japan. 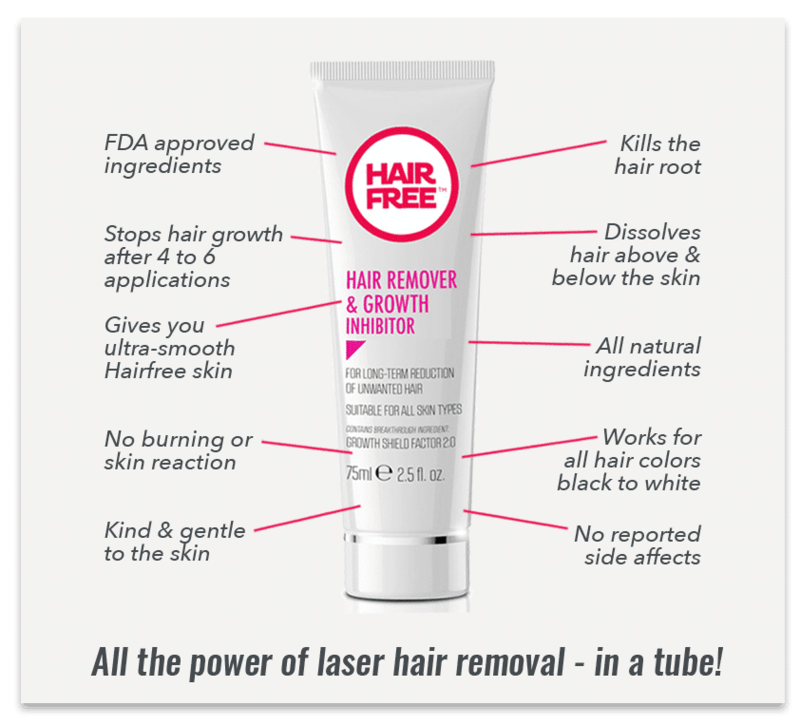 Hairfree kills the root – just like laser hair removal – for a fraction of the cost! Sign-up for discounts, gifts, news and tips! Hairfree is a new hair removal concept from Japan that replicates the effects of laser hair removal – in a tube! It’s a simple wipe-on-wipe-off cream that you apply once a week to the hair on your skin. 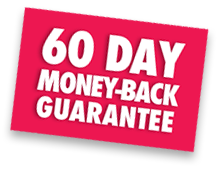 Use Hairfree every week for 4 – 6 weeks to stop hair growth. Instead of damaging the hair root, like laser hair removal, Hairfree gradually shrinks the root so it shrivels up and stops growing. The process is similar to the onset of male pattern baldness and leads to permanent results. Choose from a range of six products. Each formulated to target a specific hair removal problem. Hairfree dissolves hair and destroys the hair follicle. 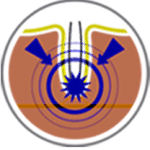 Active ingredient GSF2:0 is absorbed into the hair follicle and reacts with the matrix bulb of the hair root – the place where hair growth starts. 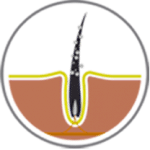 This kills the hair root and stops the follicle from producing further hair. It starves each hair root of the vital nutrients necessary for hair growth. 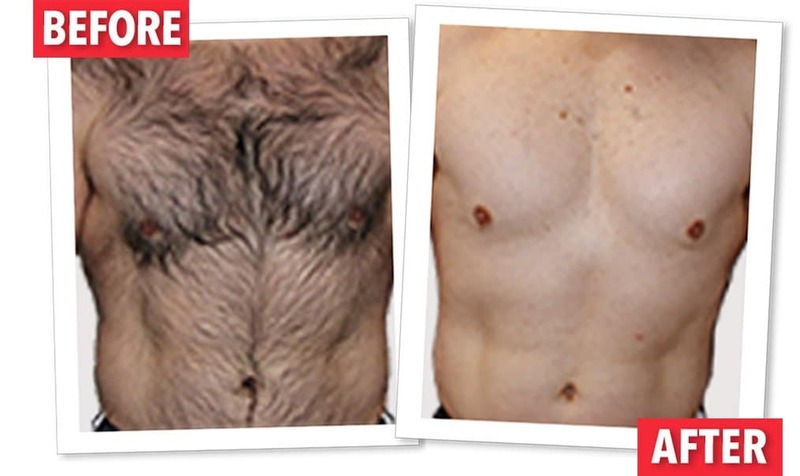 Hairfree creates the same results as laser hair removal but by a different scientific route. 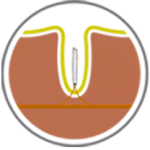 Instead of damaging the hair root with a laser, Hairfree gradually shrinks the root – naturally – so it shrivels up and stops growing. Three easy steps and a few minutes is all it takes to achieve long-term hair loss. 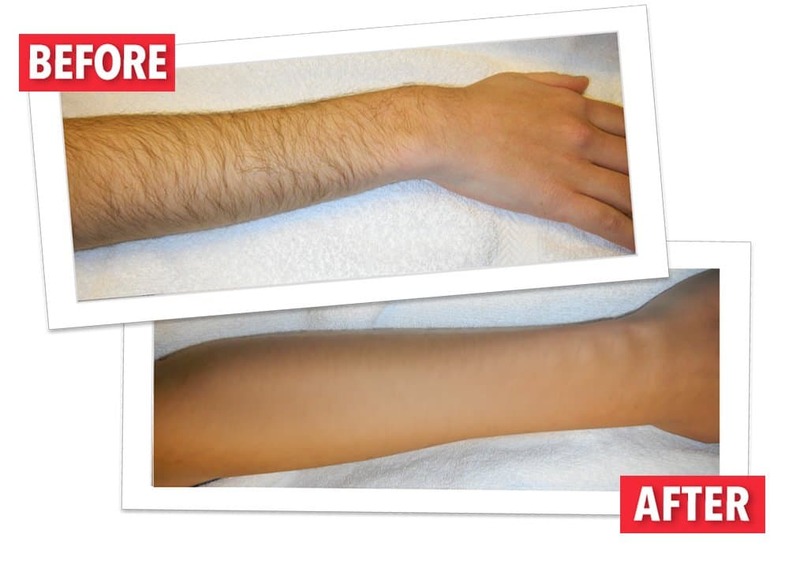 Hairfree is a simple wipe-on-wipe-off cream which is kind to the skin. Apply the cream every 7 days to visible hair growth of 2 – 5 mm for 30 days or more. Use more often if you have thick, dense hair. Hairfree dissolves surface hair and attacks the hair root. 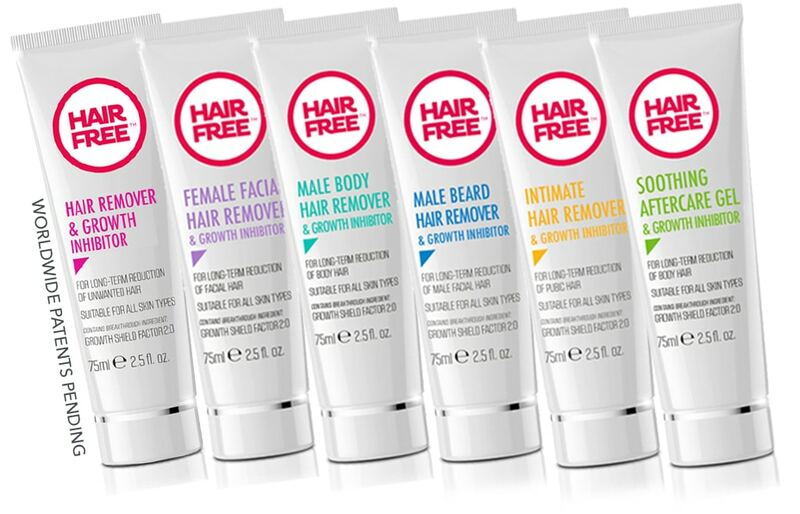 Every time you use Hairfree hair becomes thinner and softer until hair growth slows down and stops completely. 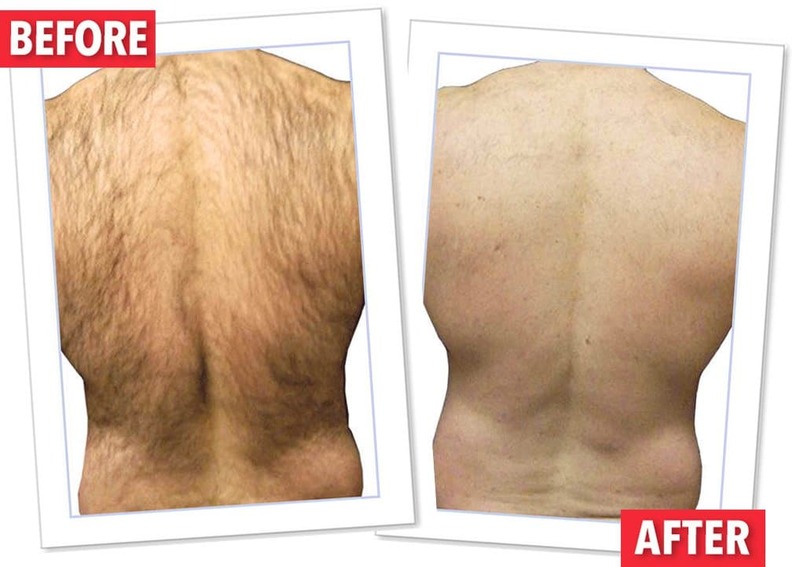 The results are spectacular – totally smooth hairless skin – guaranteed. Spread a thin layer of cream over body hair. Wait 4 – 5 minutes for the ingredients to get “pulled” into the hair root. Wipe/scrape off the cream with scraper. 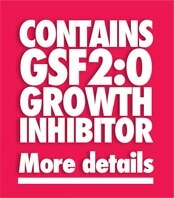 Surface hair disappears and active ingredient GSF2:0 attacks the hair root. Repeat this procedure once every week for 4 – 5 weeks until hair growth slows down and stops. WARNING: The effects of Hairfree cannot be reversed. Special care should be taken when using the product. Do not bring the cream into contact with your head hair or eyebrows. Do not apply to hair you wish to retain. If this happens wash off immediately. If left in contact with hair for 4 – 5 minutes, hair will dissolve and may partially stop growing. At Hairfree we are proud to have helped thousands of customers solve their unwanted hair problems. We regularly receive before and after photos from satisfied customers. Here is a small selection. I tried your product and WOW. It does exactly what you say! In one treatment on my chest what I have wanted to do for a long time. I love your products and wish I could buy every one. I have sent the photos as attachment. I have been using your product for 2 weeks and I got fantastic results. You can share these photos with anyone as proof. My back had a lot of hair, after using your product the hair is now much less . . . thank u, below are my photos. The results have been absolutely stunning. When I started this treatment I had little hope of success. 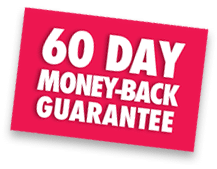 I thought the promises on your website were too good to be true. Was I wrong!! One year later all of my body hair has dissapeared for 98% at least. I cannot thank you enough for Hairfree. If Hairfree had not been recommended to me I would still be shaving my armpits every week which I hated doing. Also I am no longer having to remove the hair from my arms and cheeks every week and I have noticed a big reduction in the last few weeks since I started using it. Before I found Hairfree I tried laser and the results were horrible. The follicles were not killed and regrew within a few months. Your product works much better. It took longer than you said and I used a lot of cream but my arms were instantly smooth and each time I used it I could see fewer hairs growing back. A big thank you. I rarely review products but this one works just as it says on the box. I’m incredibly pleased!!! 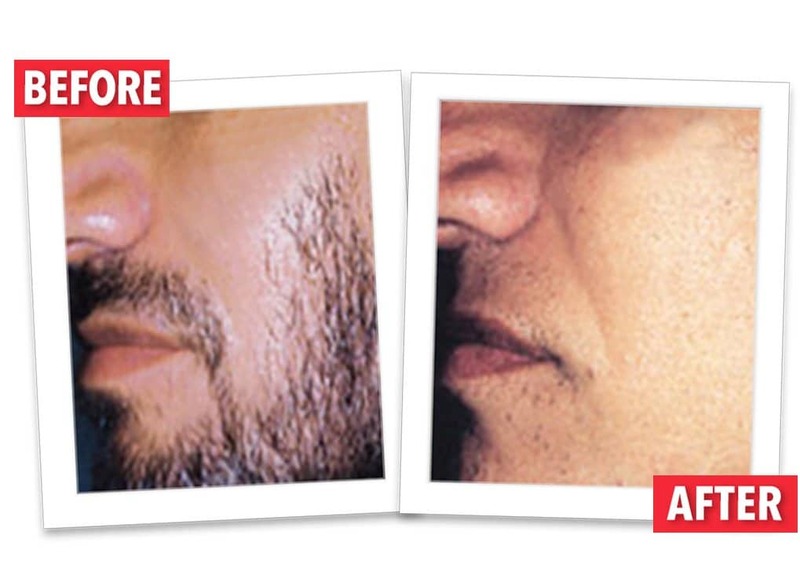 have two facial before and after photos to send you and I’ll now order the three tube beard pack. Thank you for a great product that actually works.